Orgonite is a powerful spiritual tool. Since orgonite has the ability to transform negative and stagnant energy to positive energy, having it around you will help you find spiritual balance. Anything that cleanses and balances your energy body will eventually lead to greater well-being and spiritual development. Take for example Qi Gong and other practices that are designed to ‘tone’ your energy body– these practices are designed to clear out blockages and increase the vital energy running through your body. Orgonite works in a similar way, although you gain these benefits passively, simply by being around orgonite. 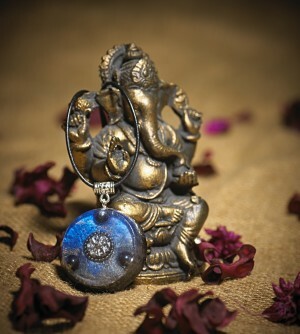 An orgonised environment is full of healthy, balanced energy, and this in turn affects your own energy body. Since I started making orgonite, and especially since I started wearing an orgonite pendant every day, I have become more calm and centered, and my spiritual development has accelerated, something which is experienced by most people that are introduced to orgonite. For some, the changes are immediate and obvious – particularly for people who are sensitive to energy. For other people, the change is more gradual, and they notice over time that they feel better and more spiritually balanced. Some people even report that they become more intuitive or develop psychic abilities. You can experience benefits by just having orgonite around your house and/or workplace. You can also actively work with orgonite, by meditating with it or by using it for healing. When I first started pouring orgonite, I made several pucks of the same size and weight that contained different stones. When meditating, I would close my eyes and pick up one puck at a time, trying to get the feel of the energy that the different stones emanated. This can be a great way to develop your sensitivity to different energies.